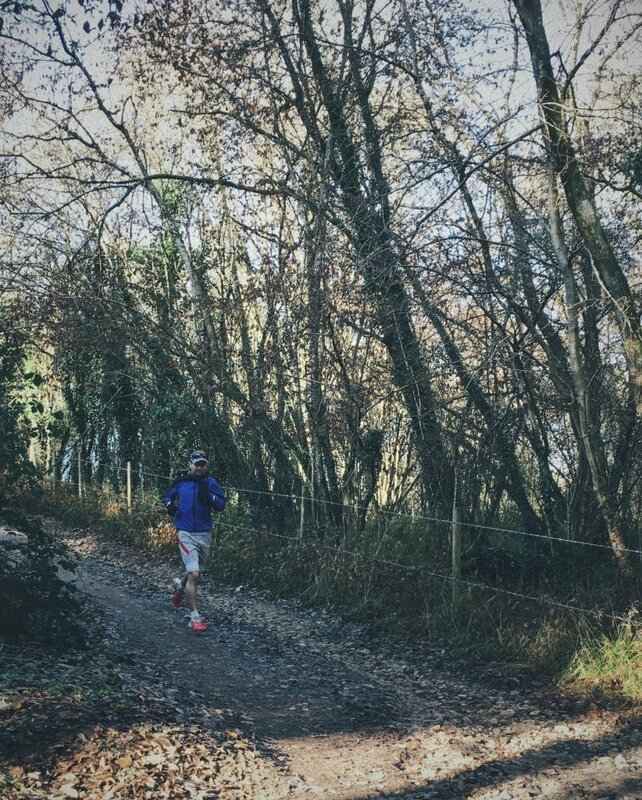 With its FUSION line, GORE RUNNING WEAR integrates expertise from marathons and ultra trail running. 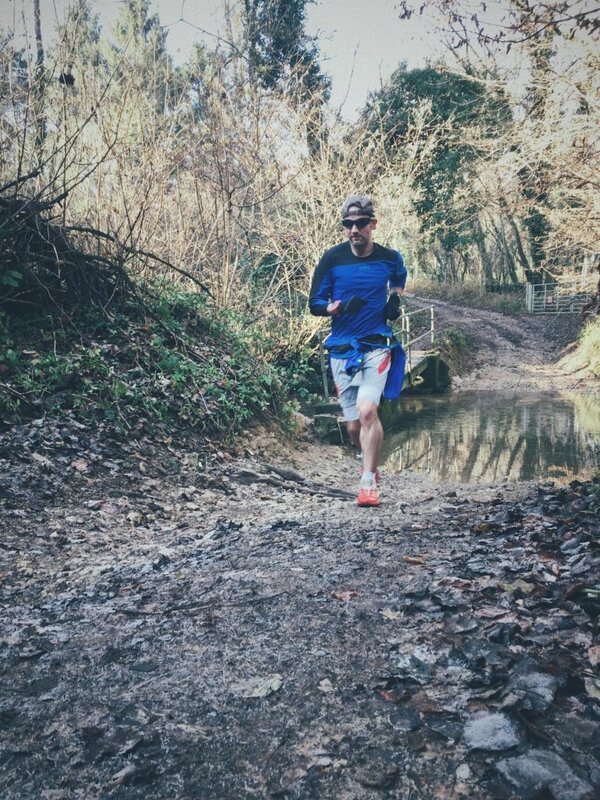 Minimal weight and extremely compact with maximum function – the shorts, shirts and jackets are designed for high performance, long-distance runners. With WINDSTOPPER® and GORE-TEX®technologies and lightweight, ultra-functional materials, the FUSION line is ideal for training as well as competition in any weather. 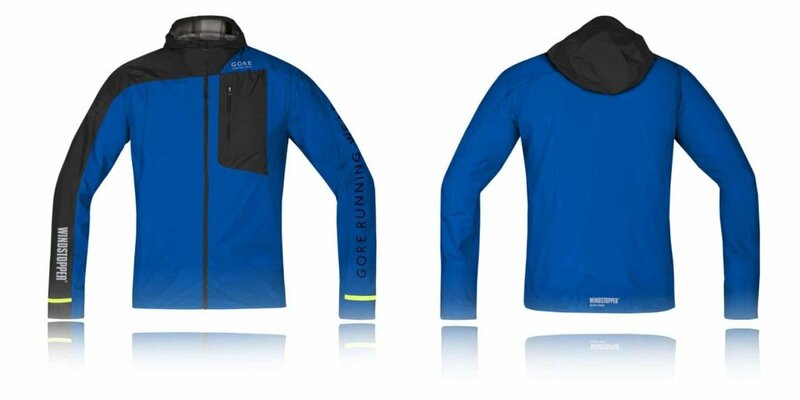 Gore Running Wear Fusion jacket is lightweight and close fitting – just how I like my run kit to fit. 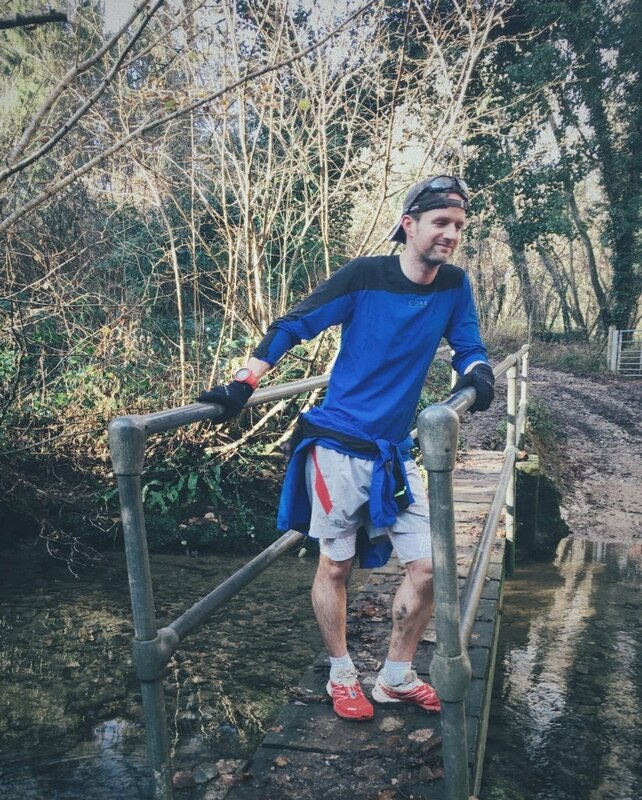 Having had a number of trail runs with the kit, I now feel qualified to give a pretty well rounded brain dump of my impressions so far. 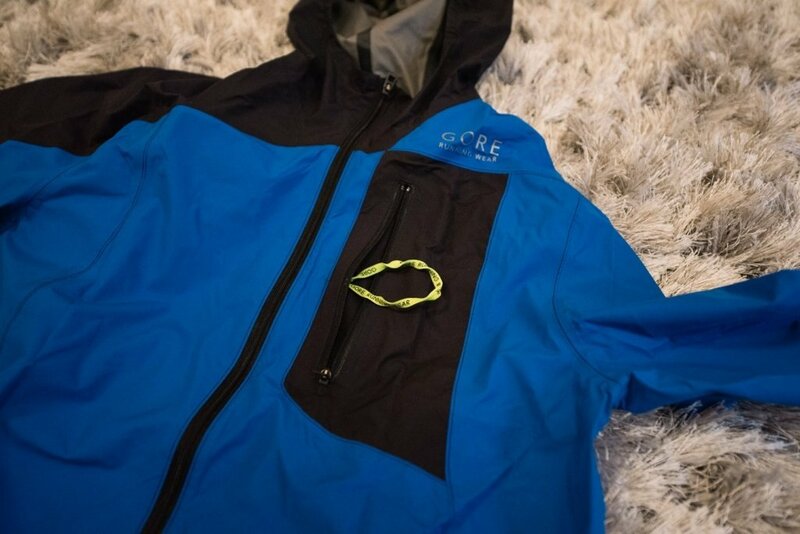 With its FUSION line, GORE RUNNING WEAR have developed a very high quality range of clothing that is very nicely designed with the ultra trail runner in mind. 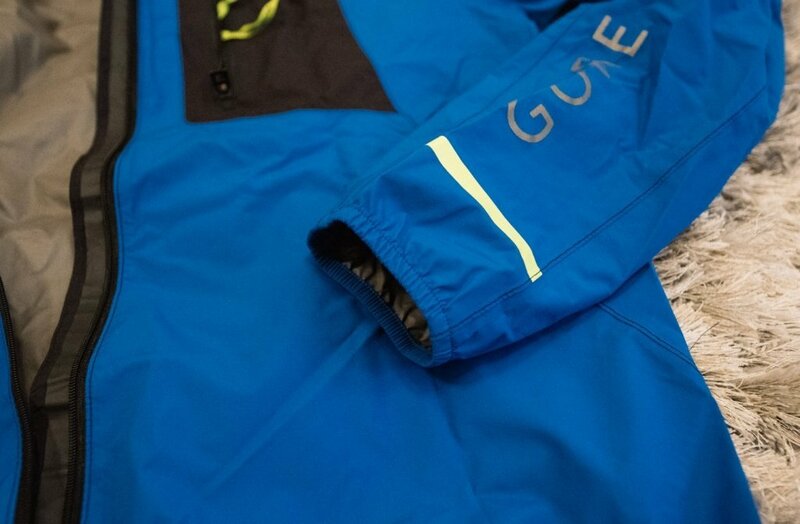 The Windstopper and Gore-tex technologies being used in this range have been produced for all weather training scenarios. Knowing this can really put your mind at ease, especially on those longer runs where weather conditions can change dramatically over the large span of time that you may be outside. 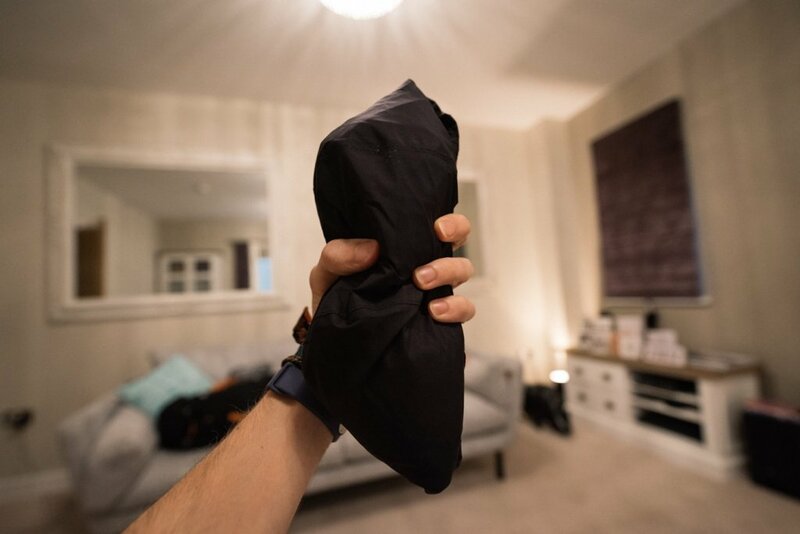 This jacket is really lightweight, weighing in at just 88g; helped by the nice close fitting style which leaves very little wasted material flapping in the wind. 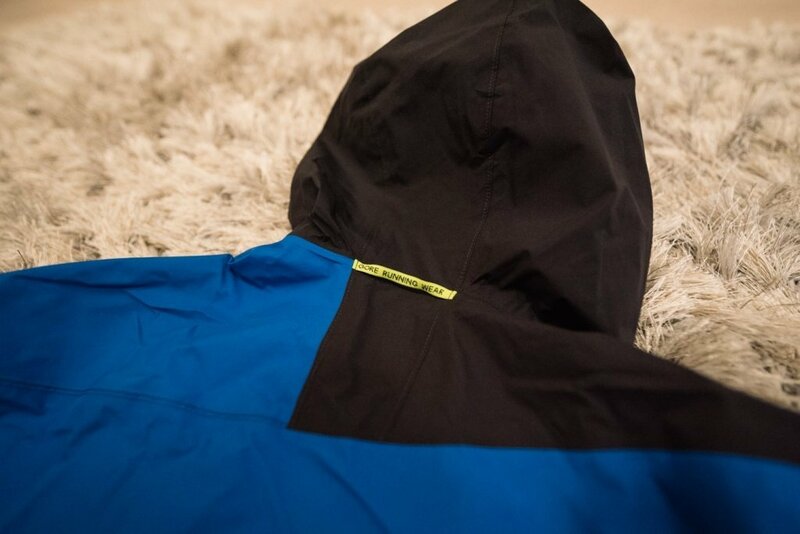 Its also breathable and water-resistant which keeps you warm on cold windy days. You wont get missed whilst wearing this jacket either, due to the large amount of reflective detailing printed on it. 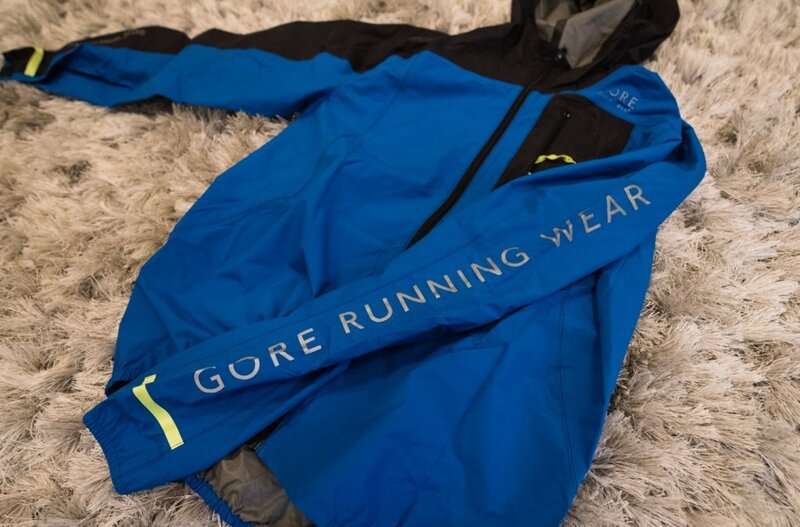 The largest being “GORE RUNNING WEAR” written down the left sleeve. It also has fluorescent markings on it for high visibility during the day time. There is a front pocket with a loop which could be used to secure a key, phone or anything else you can think of. It has nice elasticated cuffs which keep water and wind out. I’m a fan of this as I tend to pull my sleeves up when the temperature rises, rather than taking the jacket off completely. 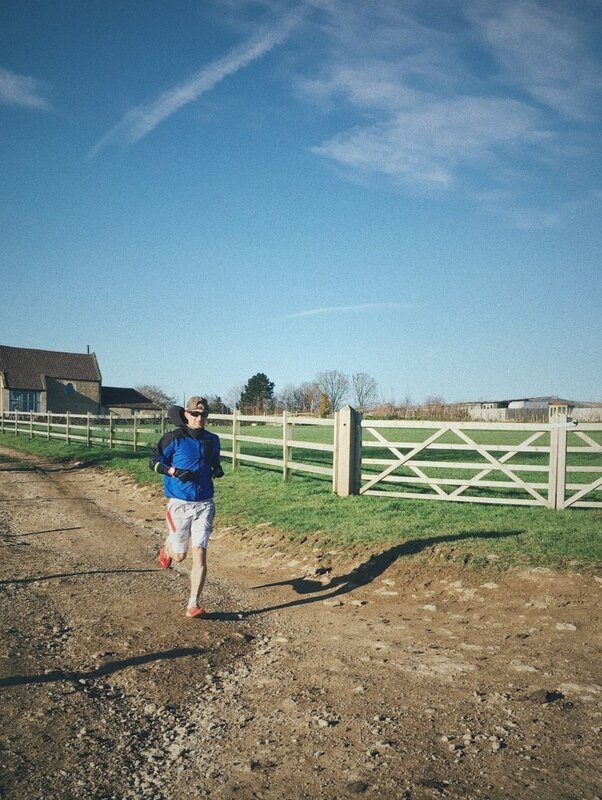 If it becomes too hot for the jacket then its very easy to take off and tie around your waist all whilst still running. 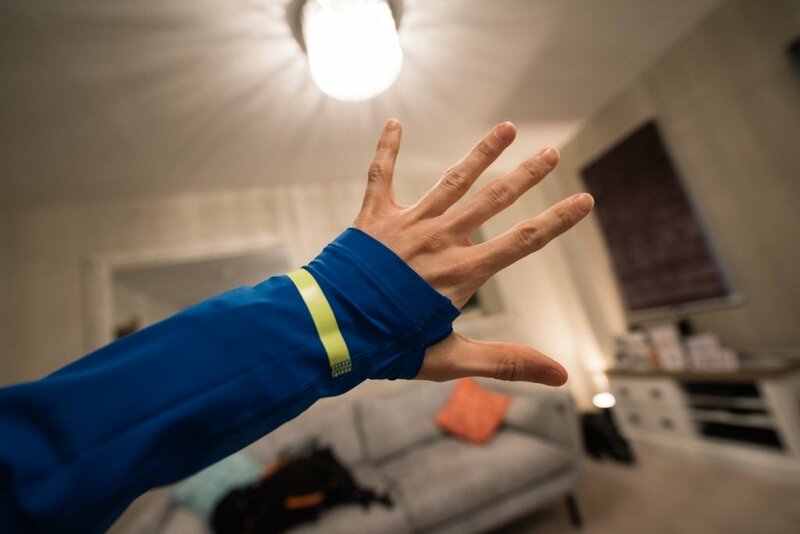 And those are the reasons why this jacket is now my go to Windstopper jacket for all cold runs. 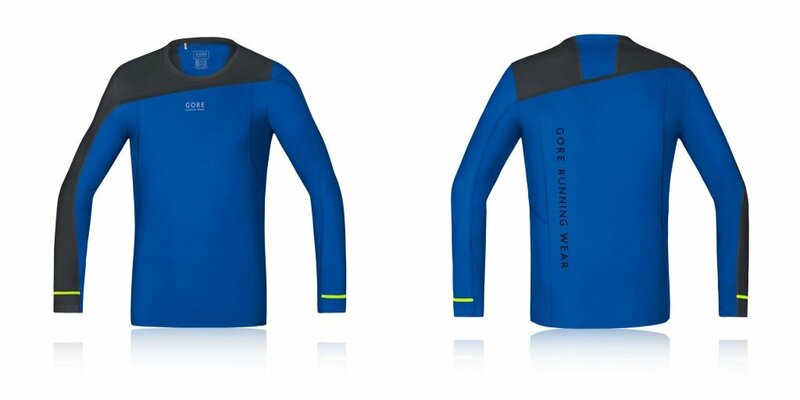 The long sleeve running top is made of a really unusual material. One that I really like. It stretches, breathes and is really soft on the skin. It’s built using what Gore calls Ultrasonic Seams which eliminates chafing and consequent irritation around the shoulder area. I did notice this extra comfort. I wouldn’t normally wear a long sleeved top whilst running as I can get very hot running up hills, which is what I like to do, A LOT. This particular fabric breathed really well and I was able to stay cooler than I have experienced with other long sleeved tops. It also has thumbholes to enhance the fit of the garment and stop the sleeves sliding upwards. I really love these gloves. 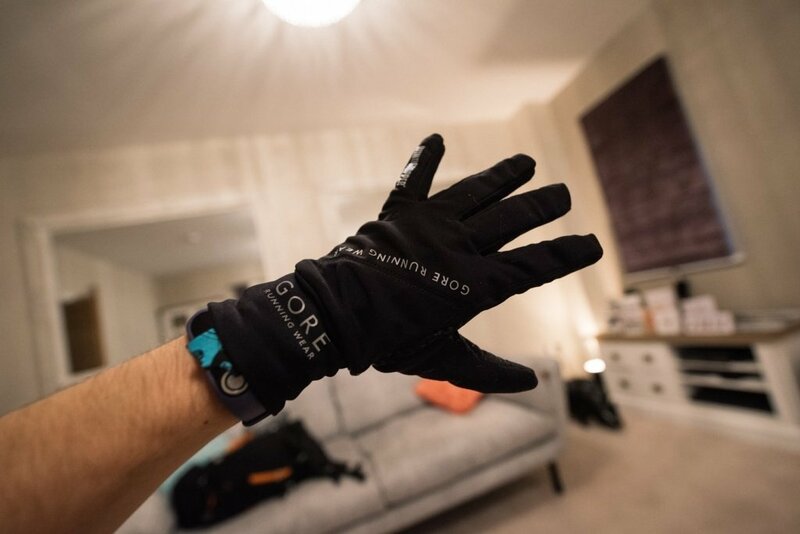 I have tried a couple of other pairs of running gloves from different brands and neither of them had the warmth and comfort that I felt from these. 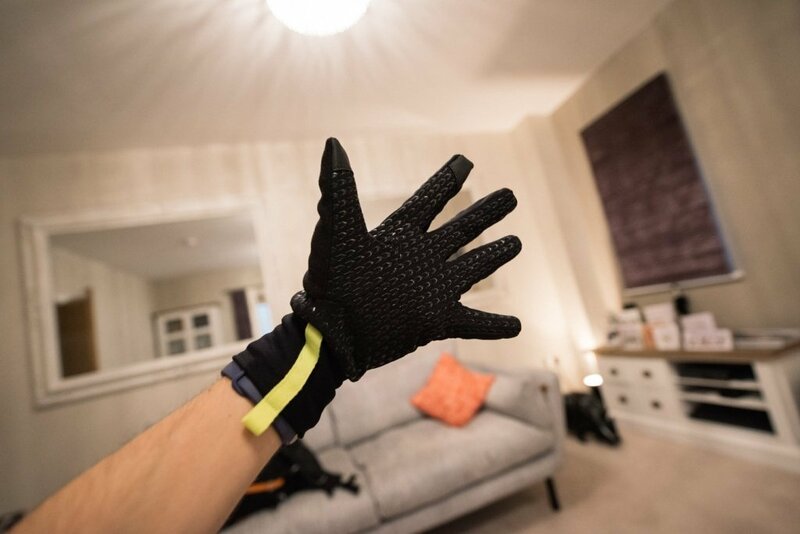 Theres a special material Located on the fingertip of the thumb and pointer that ensures you can use your smartphone without taking the gloves off. And also on the palm side are Silicone Coated Fingers that provides optimal grip. You will also notice yellow (fluorescent of course) pull fabric cord to help with getting the gloves on. I didn’t really see the need for this, but maybe in colder conditions when your fingers don’t work as well, it would help. 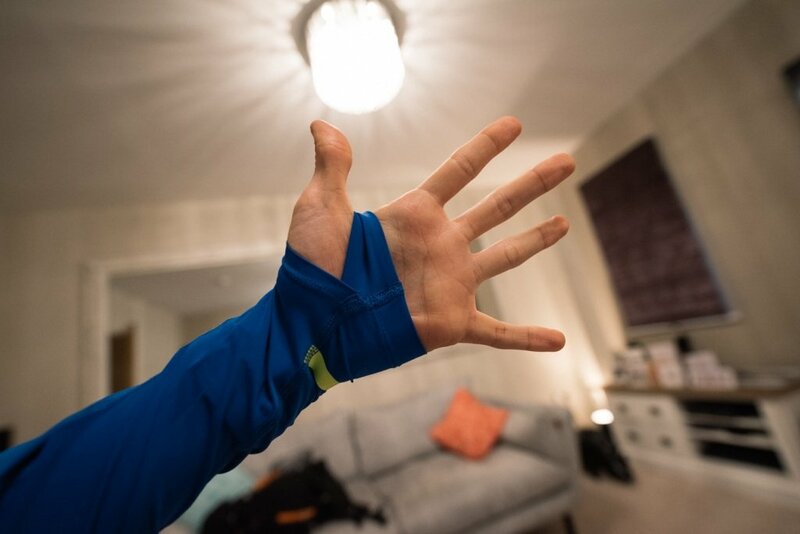 On the back side you have an absorbent material – Located on the thumb and back of the band which is useful for wiping away perspiration, or keeping sniffly noses clean! And last but not least, more reflective detailing. Thank you to Sportsshoes and Gore for sending over the items for review. 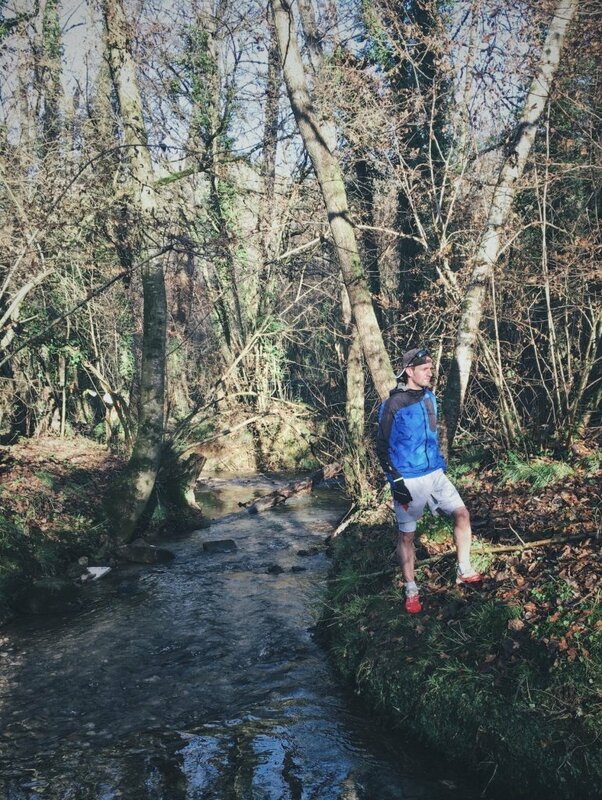 I remember when I first landed on the Sportsshoes website whilst looking for some niche high end trail running gear and to my surprise they were selling the whole line and some other products I had looked for in the past. I couldn’t believe the huge range of clothing they had for sale. Especially apparel for trail running. 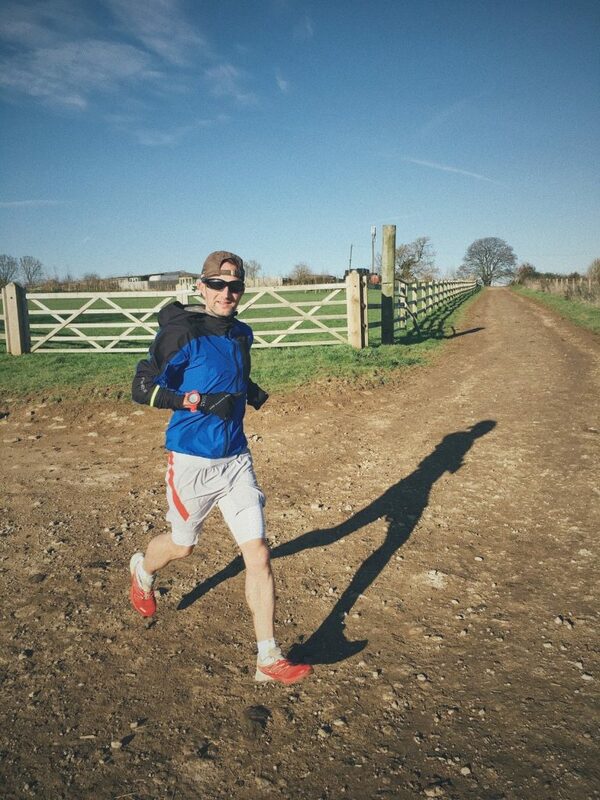 In my opinion, It’s the best online source for top quality running gear of all brands in the U.K.